Crafted shadows dance on walls in an ornate light arrangement, video projections and sound recordings generate a kaleidoscopic, prodigious environment. 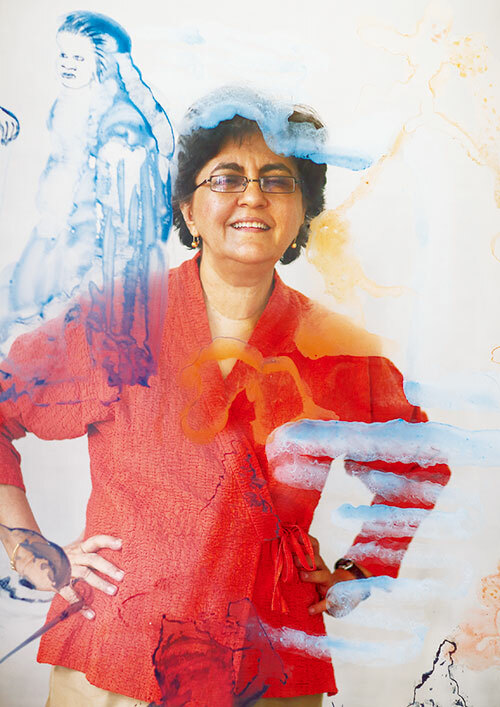 Even after more than four decades of pushing the art envelope, 2014 saw Nalini Malani step into one of her most bountiful years – and reminded us of her trailblazer status. Along with being honoured with the highly coveted St. Moritz Art Masters Lifetime Achievement Award 2014, Malani premiered a solo exhibition, titled Cassandra’s Gift, at the Vadehra Art Gallery in New Delhi; another called Transgressions at the Asia Society Museum, New York; and presented an awe-inspiring video installation, In Search of Vanished Blood, at the Edinburgh Art Festival…all leading up to the much talked about three-part retrospective of her work – You Can’t Keep Acid in a Paper Bag – at the Kiran Nadar Museum of Art (KNMA) in New Delhi. 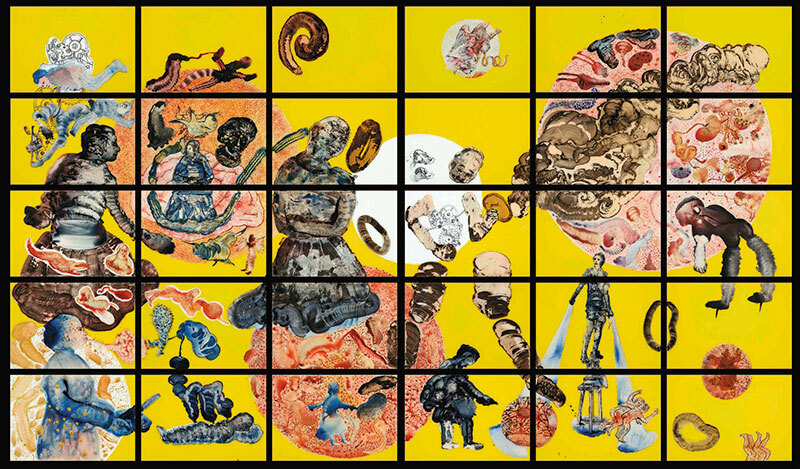 It spoke volumes about the themes which have been persistent in Malani’s work: perceptions of gender-based violence, politics of caste, globalisation and religious conflict. It also brought home installations and international projects that have never been seen in India before. The oldest work in this show was from 1969. Each of the three comprehensive chapters truly illustrated how much her virtuosity has flourished and continues to set the tone for a pioneering reinvention of art.